I do like to try new subjects and over the past week I have been playing around with ideas on the theme of including a birdcage into my paintings, birdcages are popular topics for paintings and home decor. 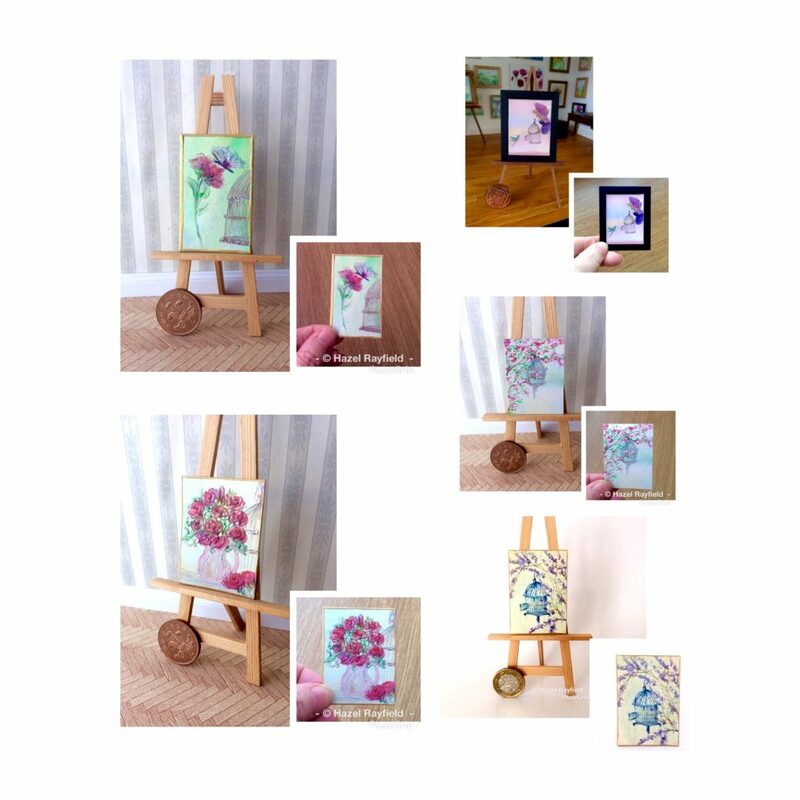 If you follow my blog or Facebook page you will know I am an artist with a passion for painting in encaustic wax paint and in miniature which is a challenge at times but great fun…… my point however is that I’m an eclectic artist, yes I love to paint flowers, landscapes, seascapes but I also like to challenge myself or be challenged by other subjects. I hope you like these new pieces of my art, all original as always. Blossom settings with the birdcage in the trees, flowers in a shabby chic style and a butterfly appears in one, and of course there had to be a fairy …… and she has let the bird out of the cage !! Edit : the two blossom birdcage paintings are now sold, I showed them on facebook this afternoon and they are off to Wales to a collector tomorrow.